Guardians of the Galaxy is one of those rare films, which both the critics and the fans seem to love. Guardians of the Galaxy has a solid 92% approval rating from critics and a 96% approval rating from audiences on Rotten Tomatoes. 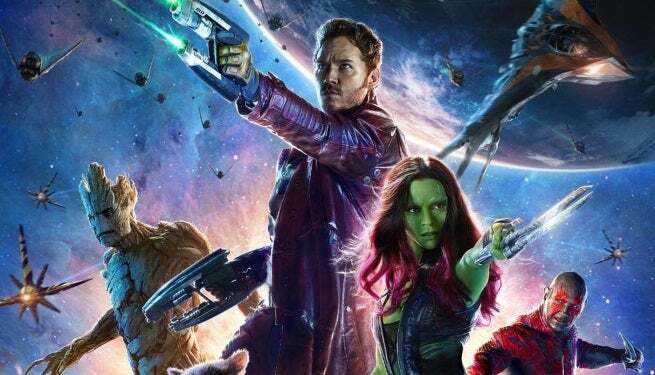 As Comicbook.com first reported yesterday, Guardians of the Galaxy has also grossed more in its first ten days at the U.S. box office than any other 2014 movie so far. But Rotten Tomatoes and the box office isn’t the only place that Guardians of the Galaxy is topping the charts. On the IMDB Top 250, Guardians of the Galaxy is currently the highest rated 2014 by IMDB users. In fact, Guardians of the Galaxy is not only the highest rated 2014 movie on IMDB, it’s the only 2014 movie rated in the top 100 films on IMDB. Guardians of the Galaxy is ranked 37th out of all movies on IMDB, and the film has a 8.5 rating. The next highest 2014 movie is X-Men: Days of Future Past, which has a 8.3 rating and is ranked 111th.